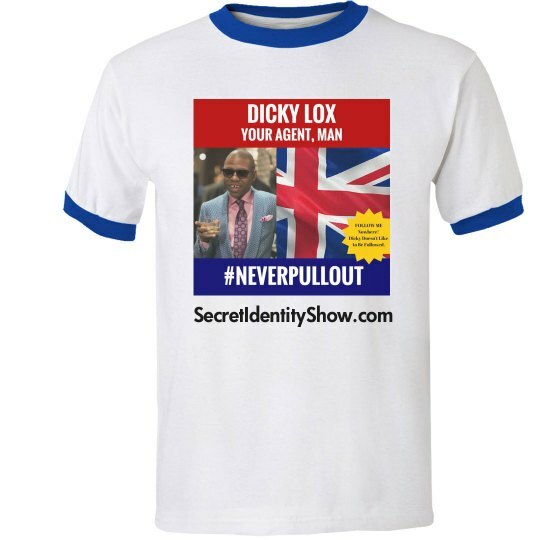 Never Pull Out says Dicky Lox. Blue Ringer tee. Designed by Dicky Lox.